As the time for the opening night of the play we’re working on draws nearer, we are getting busier and busier. And with school starting tomorrow (I can’t believe how this weekend flew by! ), it’s going to be more difficult for me to find some quiet time and a place where I can just be present…just BE. Today I worked almost exclusively on lesson planning with a bit of blogging and research on the side. But one of the awesome things about today was that I was able to hang out with a person who meant a lot to me in my past. We lost touch after high school and only briefly reconnected when I moved back to this area. But through this play, we’ve really been able to reconnect and enjoy good conversation and friendship. Today’s task for the theater was to make the awful badges the Jews were forced to wear during WW2. One thing that became blatantly obvious to me was the fact that many kids don’t know about the Holocaust (or they mistakenly believe it was a hoax), and those that do know about it, treat it like most people treat all of history. “Oh, well, that was then. This is now. It has nothing to do with me and it doesn’t matter.” Um…no. It still matters. We can’t truly grasp the enormity of the lives lost in the concentration camps. We can’t. How do you envision, grasp, the number 6,000,000 in terms of Jewish humans, much less the 11,000,000 total humans who died in those death camps? This play has been very hard for me. Maybe because I’m a mother. Maybe because I consider myself a realist, knowing that nothing stays the same forever and that some changes are very ugly indeed. Maybe it’s because I firmly believe that history does repeat itself, mainly because of human stupidity and ignorance. Maybe it’s because I’m an empath. I feel things very deeply, can put myself in someone else’s shoes, and when I read a story or watch a movie, it’s almost like I’m absorbed into it. I have to be very careful what I read or watch. I don’t know for certain. But I do know I’m going to need a rest when we’re done with “The Diary of Anne Frank.” It’s a story that should never be forgotten. It’s a story that should cut like a knife. And it’s a story that I’m proud to have a part in the telling. We made star badges today. I’m so thankful those badges were for a play and not for real, right now, in this life. I’m thankful for my freedoms and my rights and I don’t ever want to take those for granted. Those freedoms and rights didn’t just show up one day. It was a lot of hard work to set those up and get them in place, a lot of blood-sweat-tears kind of work. Do any of us even know what that means anymore? I have to wonder… What has been taken from you forcibly at gunpoint today? What loved one was torn out of your arms at gunpoint today? Which loved one did you have to watch die day by day because they didn’t have enough to eat and their body was weakened by sickness that no one would cure? And which one of you had to live the rest of your life knowing your entire family died in the concentration camps in spite of your efforts to save them? So the next time you complain because your cell phone battery died and you can’t shoot the breeze with all your friends…the next time your washing machine breaks down and you have to go to the laundromat…the next time your meal isn’t fixed to perfection at your favorite restaurant…or the next time you deride your neighbor for keeping a watchful eye on the actions of the government, be kind and think smart. It could always, always be worse. A heavy post indeed today…and many heavy thoughts. These things inspire me, too, though. They are part of who I am and that all goes into my art, my songwriting, everything I create. I don’t expect many likes today. People don’t like to hear about terrible things. But they are just as real as beautiful things. They should not be forgotten. This is the journal I’m keeping for our school work. I chose this one for the simplistic, calming message on the front. 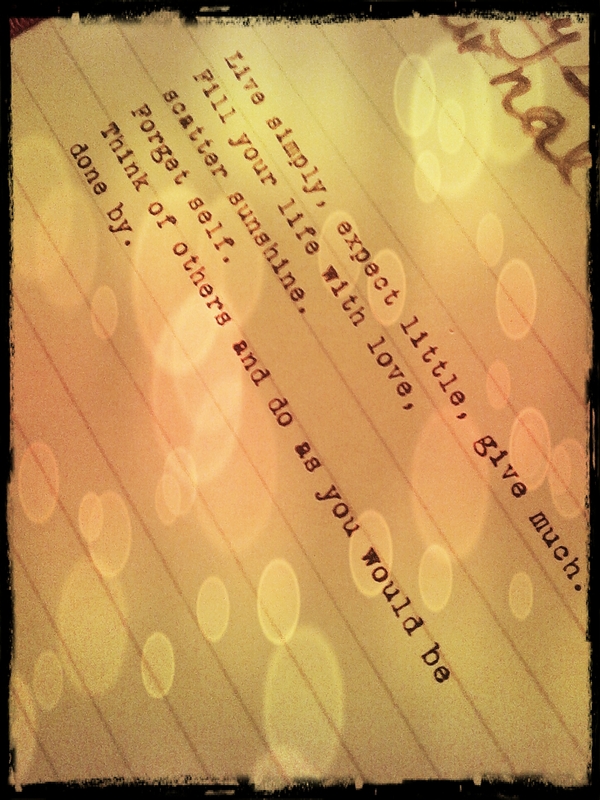 These are words I want to live by, strive to live by. John’s beautiful photo of the day from yesterday…do check out his wonderful photography! The morning sky we woke to yesterday was gorgeously golden and this photo has very little editing done to the color. It really was quite surreal. This is a beautiful idea! I’ve seen this done for homeschool curriculum, sometimes really nice curriculum, and it /must/ work because they do it every year as a special sale at Currclick.com. Some of the sellers keep the PWYW pricing on certain items, or host their own limited time PWYW sale. I bet something super awesome happens! Great post! I’m inspired by so many things I have seen, heard, and experienced in my life. The mask series is an interesting sort of journey. Over the summer, I’ve found myself held hostage by fear, doubt, and low self-esteem. I’ve been in heights of joy, confidence, and success. I’ve seriously run the gamut of emotions this summer. I’m coming to the end of my mask supply. I’m not sure whether I’m interested in making more after the next one is done. I am going to take my time with this one. I want to try some new techniques and see what I can come up with. I have an idea in mind for the last two brocade masks and I want it to be just right. I also want it to be something true, something real, and hopefully, something epic. I’ll share some pages and videos of the things that are inspiring me at this point in my life. This song has resonated with me for a long time. Several years now. This movie is one of my favorites from Studio Ghibli/Disney. I’m not a huge fan of Disney films but these are different. They have a different resonance, a different sort of overall feeling. If I had to describe it in one word, I’d use the word “peace”. The movie is “Spirited Away.” The song is by Avril Lavigne and interestingly enough, I really like the song. I’ve not given over much time to listening to her music because it’s not really in my favorite genre but this song is really good! Have you ever heard of mop painting? I knew about it but hadn’t really seen it done live. Check this out! This last video is from a wonderful artist who I was introduced to by my husband. 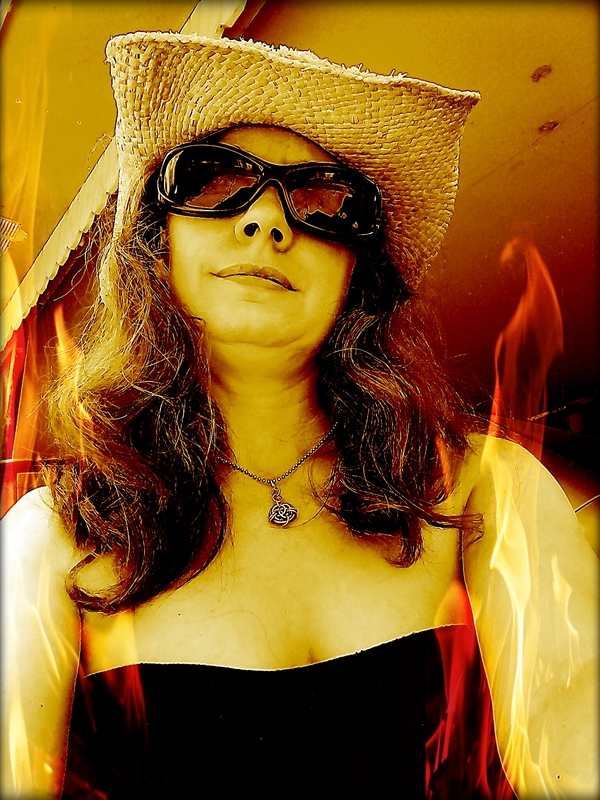 Carrie Hilgert blogs here and she has a YouTube channel. She has really inspired me to look within myself and not give in to the fears that constantly try to hold me back. She’s not the only person who’s inspired me, though. My husband, John, has been a huge help in my life journey to overcome and be set free from the cage I kept myself in. His determination to keep taking photos every day, his zeal and gift for capturing nature’s beauty in his camera, and his constant, gentle nudging and encouragement helps so much in keeping me moving forward, sometimes in spite of myself. I know this post is a bit out of the ordinary but I did say I’d be posting about what inspires me in one of my previous posts. I really enjoy learning and I’ll post my findings of the new techniques as I am able. My schedule that was already pretty packed is about to be packed completely since the play we’re working in is going to be opening in 12 days and we start school Monday. Please stay tuned, though. I’ll post something here every day, even if it’s only a snapshot of something I’ve seen that day. Thanks for stopping by today! Please feel free to leave a comment or ask questions. I took this photo at Chicot State Park. 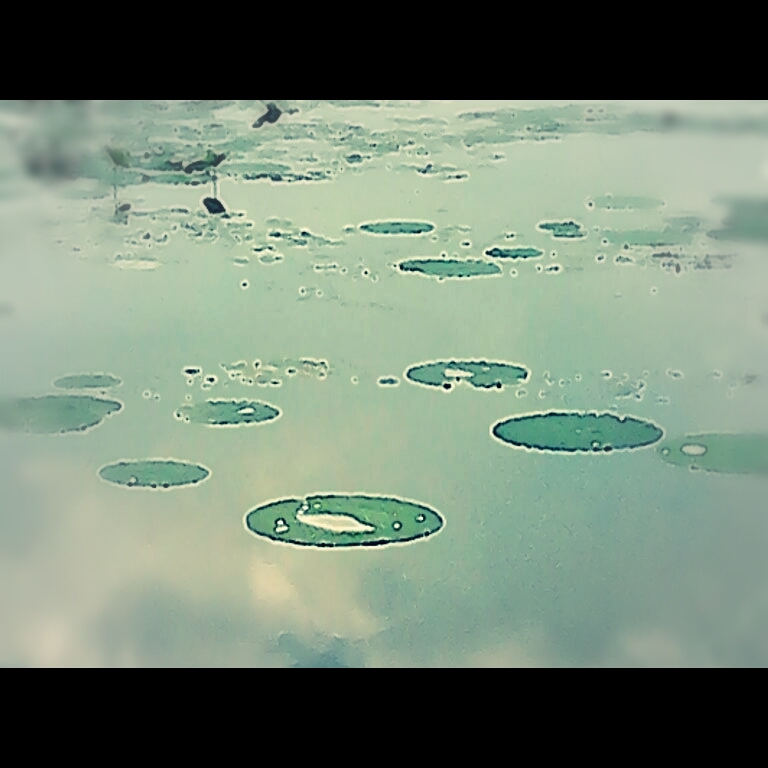 I couldn’t get close to the lilypads and my zoom feature is not the best but I remember the feeling I had looking at these. Great Quote by Anne Frank with Image !! Our local theater group is working on ‘The Diary of Anne Frank” right now. How interesting that I should see this wonderful quote today! 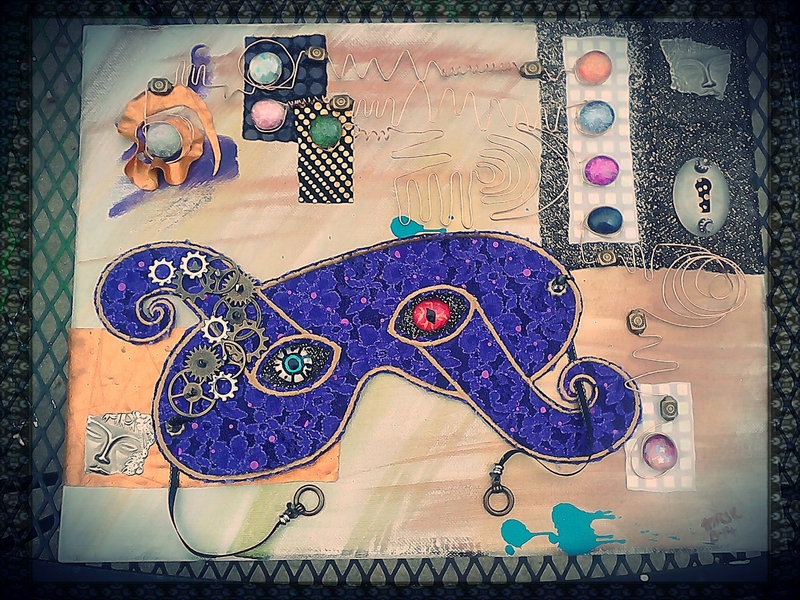 “Inside The Inner Workings” #7 of my mixed media Mask Series is finally complete! I used acrylic paints, flat-backed glass floral marbles, nail enamel paint, antique brass beads, copper wire, silver-tone metal findings, antique brass gears, zinc plated star washers, antique brass toggle clasps, silver-tone beads, antique silver eyelets, black/gold mesh fabric, copper stretch fabric, black with gold hologram dot fabric, black sequin fabric, white iridescent square printed fabric and put the elements together on an 11 x 14 canvas. The mask base is purple lace with hologram dot sequins scattered throughout. It’s embroidered in gold. I wanted to go for a Steampunk feel with this one. I feel like I got close but I’m not entirely certain. However, I’m really pleased with the result. I hope you’ll enjoy the photo! I have to thank John for herding cats so I could sign the artwork and then snap the shot. This piece is for sale. If you are interested, please contact me. Mixed Media Mask Series #7, “Inside The Inner Workings,” is complete! Check out this beautiful shot from J.D. Kittles Photography!